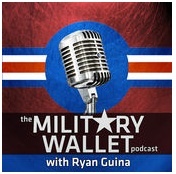 Posted in Military Service Credit Deposit, Service Computation Date. 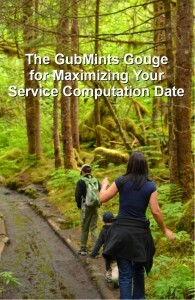 The GubMints Gouge for Maximizing your Service Computation Date has been over nine years in the making. I developed the eBook based on personal experience, research, and input from readers here at GubMints.com. Your future FERS Annuity Payout. This GubMints Gouge Book will give you the tools you need to maximize your Service Computation Date, including sample forms, actual correspondence to and from Defense Finance Accounting Service (DFAS), plus a FREE calculation spreadsheet to help you determine the potential value of your Military Service Credit Deposit. Grab a copy for your Kindle today! Don’t have a Kindle? That’s ok, there are free Kindle Reader apps that make your Tablet, Computer, or SmartPhone work as a Kindle eBook reader . Posted in Military Service Credit Deposit, Retirement, Service Computation Date.